His performance, like any theatrical performer, is not just remembering words in a literal fashion and singing them; rather he should perform with the emotional authority embodied in the words, because it arises out of his conviction that this phrase has the appropriate power to move the dhikr beyond where it is now. Earle Waugh concludes his paper, Baraka, performative healing and the Moroccan Sufi chant, with two anecdotal episodes from field work undertaken in Morocco between 1995 and 1999. Both episodes center around a Ribat—small enclosures that serve as centers for Sufi practice. In the first, he describes the case of a youth who had been tormented by ‘inner demons’ and deemed incurable by modern medicine. Instructed by the Sheik at the Ribat, he followed meditations and prayers and was returned to sanity without the help of drugs. On one occasion he was compelled to leave the Ribat in order to register in a government office, but had a complete breakdown within minutes of leaving the compound. On returning to it, he became himself again. In the second anecdote, a European doctor who had lost everything due to alcoholism came to a Ribat as his last resort. The sheik welcomed him and even allowed him to drink while he was there, but after participating in the Sufi life for some time he lost all compulsion to do so. He remained in the Ribat from that point on, in turn offering advice on health and well being to the other inhabitants. As in introduction to the importance of Moroccan baraka in ‘things’, Waugh points to the quba’s that are densely scattered throughout the countryside. Small, whitewashed domes that are often found in Ribats, “The quba is the tomb of a local person who, during life reflected some extraordinary spiritual gifts among the people.” This reflection was a channeling of baraka that continues after the saint’s death—baraka still flows through the stone tomb to bless the attending faithful. The majority of the essay, however, is devoted to ‘dhikr’, which he describes at one point as “ceremonies of choreographed movements during which the chanters deliver a message through the inspired chant of ancient texts.” The baraka that flows through a dhikr is intimately linked to attaining ‘ishan’, a “state of being directly connected to God, which marshals…inner resources for moral and social action.” Very precise movements must be followed, for specific reasons, such as starting movement from left to right because of, “notions that the blood within the heart moves from left to right, with the mystical belief that one moves deeper into connection with God by following the structures of the inner life that God has created.” Waugh emphasises, “Like prayer, then, the adepts must be guided through the various religious postures at a proper spiritual pace because the sheikh knows that the framework is more or less constructed on the basis of the spiritual progression that he practices in the religious culture of his tariqa.” Even with such precision, the efficacy is not guaranteed. All dhikrs are not, in a sense, created equal. A good dhikr will provide a normative framework through which the religious Presence is encountered, experienced, imagined and submitted too, yet, dhikr is not a system with predestined emotional patterns. Those participating must ‘clothe’ the dhikr – dhikrs fail, adepts ‘can’t make it work’, maqaddam’s ‘don’t feel it’, munshidun ‘just can’t get into the right place’. This ‘beyond’ is a place where one finds oneself, as with the men of the anecdotes Waugh recounts, emotionally and spiritually healed by the baraka that flows through performing bodies. Earle H. Waugh is Professor Emeritus of Islamic Studies in the Faculty of Arts and currently Adjunct Professor and Director of the Centre for the Cross-Cultural Study of Health and Healing in the Department of Family Medicine at the University of Alberta. His work includes key studies on Music in Muslim countries, and Islam in the West. He has written or edited over a dozen of books, dictionaries and studies, and has received several awards for his writings. 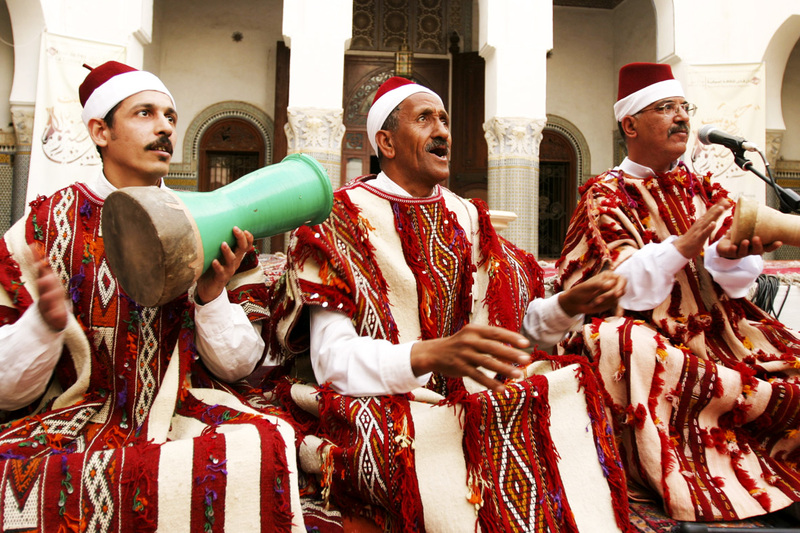 His The Munshidin of Egypt; Their World and Their Song (1989) and Memory, Music, Religion: Morocco’s Mystical Chanters (2005) have both been critically acclaimed for the new direction they provide in Islamic studies. His long commitment to education about minority groups in Canada and his promotion of understanding of Muslim and Indigenous cultures was recognized in 2005 by the awarding of the prestigious Salvos Prelorentzos Award for Peace Education by Project Ploughshares. Emerging from an international network project funded by the British Arts and Humanities Research Council and the Economics and Social Research Council, and research collaboration between academics and practitioners, Performing Islam is the first peer-reviewed interdisciplinary journal about Islam and performance and their related aesthetics. It focuses on socio-cultural as well as the historical and political contexts of artistic practices in the Muslim world. The journal covers dance, ritual, theatre, performing arts, visual arts and cultures, and popular entertainment in Islam-influenced societies and their diasporas. It promotes insightful research of performative expressions of Islam by performers and publics, and encompasses theoretical debates, empirical studies, postgraduate research, interviews with performers, research notes and queries, and reviews of books, conferences, festivals, events and performances. Previous post ← Oh, Those Incongruous Puppets!